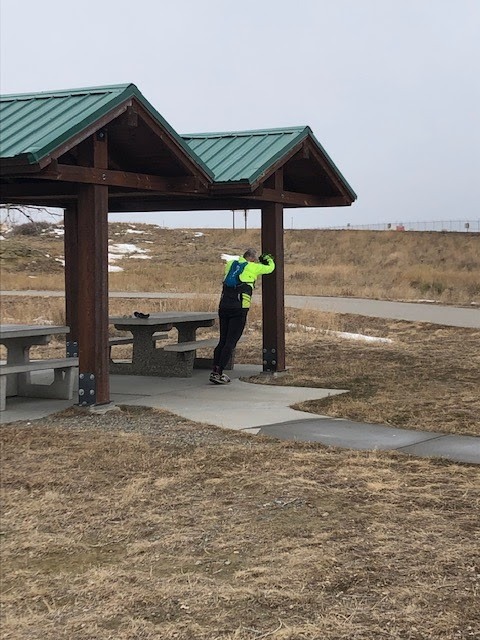 I made up my Saturday long run on Sunday with Mitch. 14 miles. He was only supposed to do 12, but he was a trooper and stuck it out with me until the end. From the bottom of Black Otter Trail to Airport Road (running along Swords Park) is 3.25 miles so we had to do it roughly two times and add a couple of small side routes to get 14. It's a good climb! It felt good to get out and run again after a couple of days of being sick. I still can't believe that I only had a chest cold for 3 days and I don't seem to have any residual cough! That never happens with a chest cold. It was overcast, but pretty warm - upper 30's I think most of the time. Some of the time we were able to take off our jackets, but there was enough breeze to make our arms cold enough to lose mobility in our fingers. 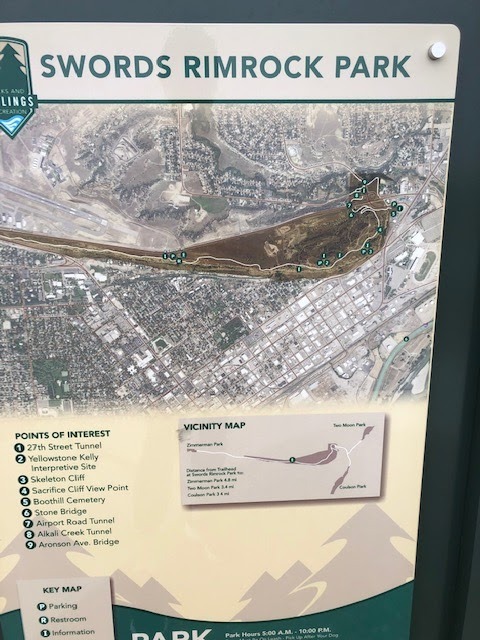 The best part about running this trail is that there is a restroom about half way from end to end. It's a perfect place to stop for relief and also to stretch. And to fuel up. 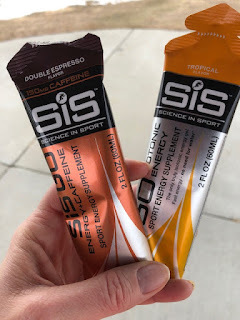 I'm sampling these Science In Sport gels (SIS). I like them because they are not a thick gel, more like a liquid consistency and they aren't too sweet. I'm pretty fond of the Tropical. I got two boxes for free (plus shipping) from their website. The only thing I don't like is the size of the packages, but that is the trade-off for the thinner gel I suppose. 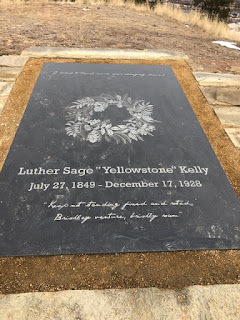 One of the side trips we took from the trail was up to Yellowstone Kelly's grave site. 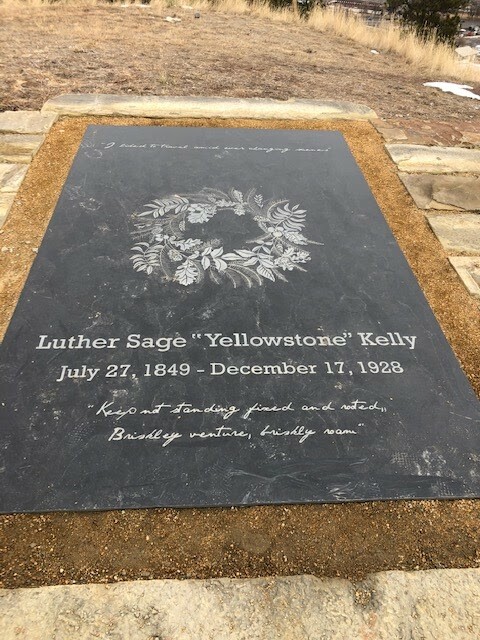 The city has made vast improvements to this park over the last 8 years or so. The rest of this week is going to be a doozy. Monday through Sunday I'm scheduled for about 50 miles total. It's going to be hard to get them all in with some of the things going on at work, but this is crunch time so as long as I am healthy there will be no excuses for missed miles. 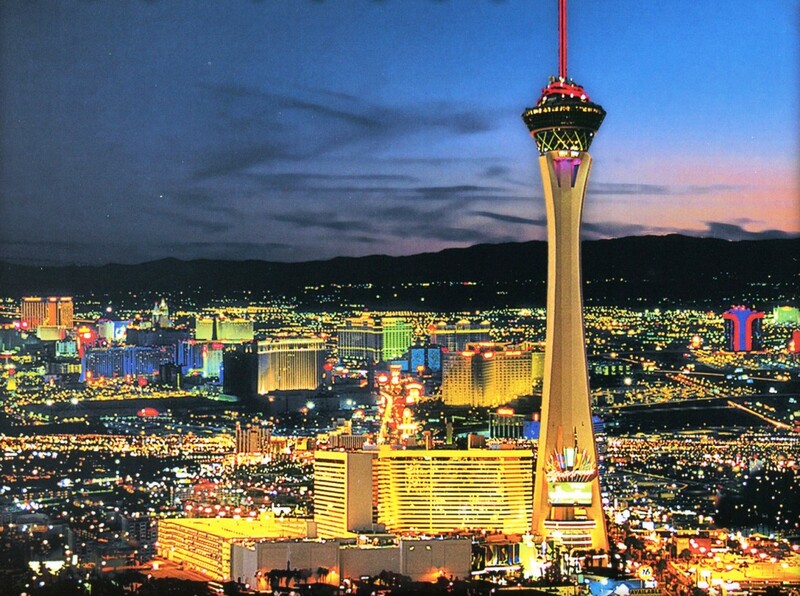 As you know, we are doing the Mt Charleston Marathon in April which is in Las Vegas. Neither of us have been there before. 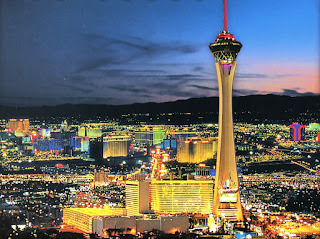 We are booked to stay a majority of our visit at the Stratosphere Hotel. It just happened to be one of the better deals we could find. I didn't realize just how cool it was until I started looking for pictures today. 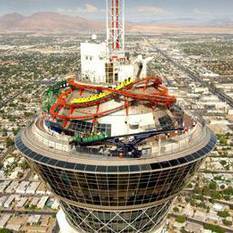 I'm stoked that it is the hotel with the amusement park rides on the top! We can't wait to go! We need your help though. Have you been to Vegas? What would you suggest doing while we are there?